You don’t have to own a smoking jacket or a big leather chair to enjoy brandy. This spirit that is good for sipping on its own or to mix up rich and aromatic cocktails is more approachable and popular than ever as new offerings have joined classics on our shelves in the last few years. But do you ever wonder ‘Just what is brandy?’ The broadest definition is a spirit distilled from wine or other fermented fruit juice. There are three basic categories: grape, pomace and fruit brandy. Grape brandy is distilled from fermented grape juice (wine). It is aged in wooden casks-usually oak-which colors and mellows it, as well as contributes aromas and flavors. This is the largest category of brandy, and some of the best known in this group are made in France. There are also quality brandies made in Spain, Germany, Portugal and the United States. Cognac is the “Cadillac” of brandies and the standard by which others are often measured, followed by Armagnac, which is the oldest type of brandy in France, dating back to the early 15th century. In the early 1900s, France enacted laws to mandate that the finest of French brandies be called Cognac, and there are strict laws regulating its production from the type of grapes used to the wood barrels for aging the spirit. All Cognac is brandy, but only brandy made in the Cognac region of southwestern France bears the name. 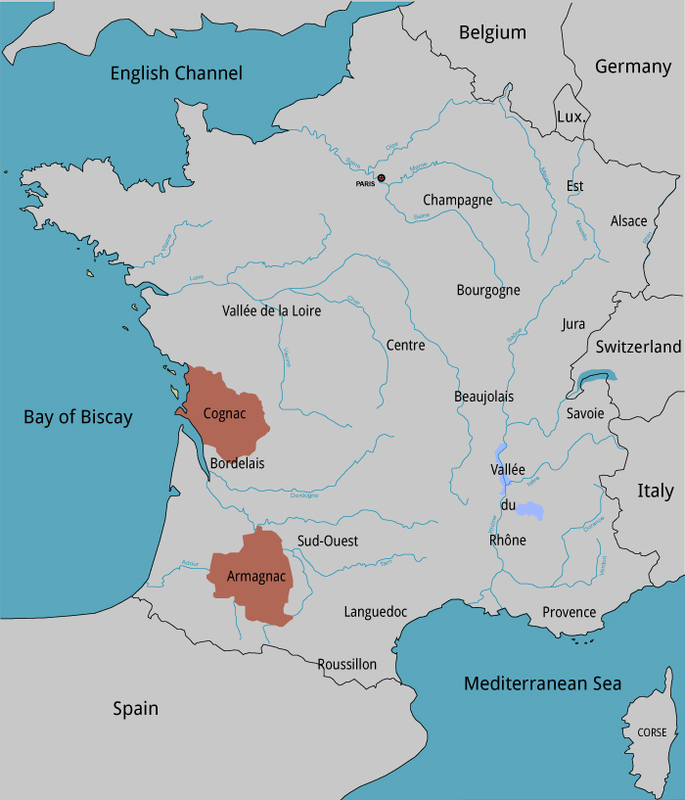 Armagnac is made in the region of the same name. VS (Very Superior) or 3-Star Cognacs have been aged for at least two years. VSOP (Very Superior Old Pale) blends have spent at least four years in the barrel. XO (Extra Old), Napoleon or Extra Cognacs must have been aged at least six years, however, since this category also includes all of the older Cognacs, many are more than 30 or 40 years old. 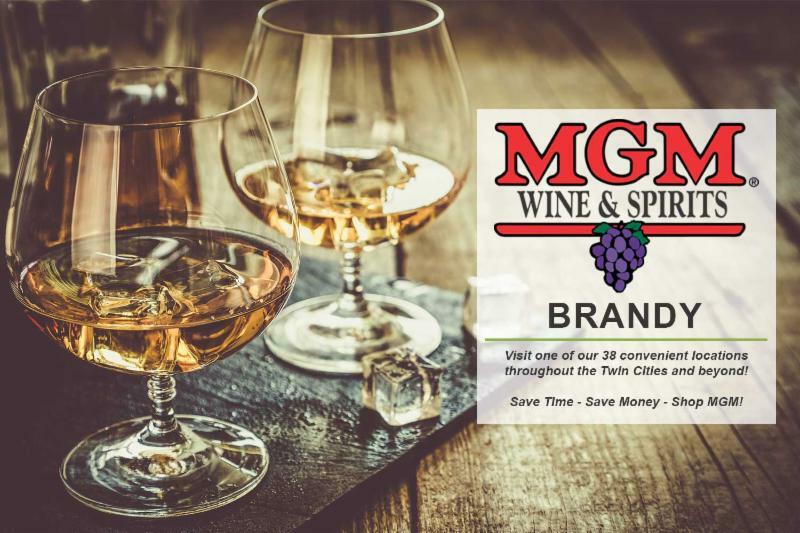 Pomace brandy is made from the pressed grape pulp, skins and stems that remain after grapes are crushed and pressed to extract the juice for wine. Italian grappa and French marc are the best-known examples. This sometimes-fiery spirit has a reputation for being an acquired taste, but more elegant artisanal versions have also appeared in recent years. Fruit brandy is the term for all brandies that are made from fruit other than grapes. One of the best known is Calvados, the apple brandy from the Normandy region of northwestern France. Meanwhile, fruit-flavored brandy is grape brandy that has been flavored with the extract of another fruit or a fruit liqueur such as apple or peach. Smooth, rich and full-bodied, brandy is wonderful on its own or mixed in cocktails such as the Sidecar, in place of whiskey in an Old Fashioned, and for the Brandy Alexander featured here. The name for the spirit we know as brandy comes from the Dutch word brandewijn, which literally means “burnt wine,” since brandy is boiled down or distilled from wine. Only brandy made in the Cognac region of southwestern France can be called Cognac. The region is located 60 miles north of the best vineyards in Bordeaux. With easier access to shipping, it historically became more popular than its cousin, Armagnac, which is grown in the region of the same name farther south and inland from Cognac. 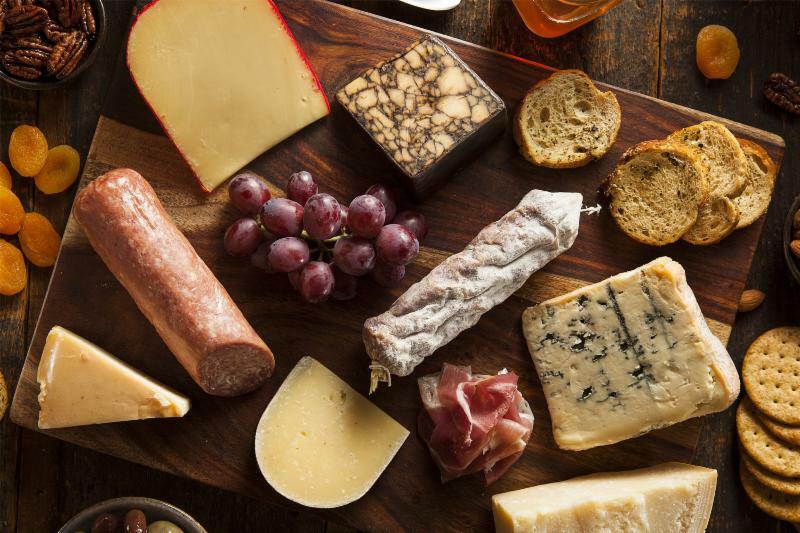 Smooth brandy can complement cheese or a charcuterie platter featuring a selection of meat and cheese such as salami and prosciutto alongside blue cheese, Emmental and Muenster. Brandy is also a good match with soft, creamy cheeses that have a touch of sweetness such as Gorgonzola or mascarpone. Try apple brandy with Camembert. It can also add a rich layer of flavor when cooking-add to chicken, pork and veal dishes. Brandy pairs well with the dessert course, especially of the chocolate variety. Try chocolate mousse or rich brownies as you relax with that glass of brandy. 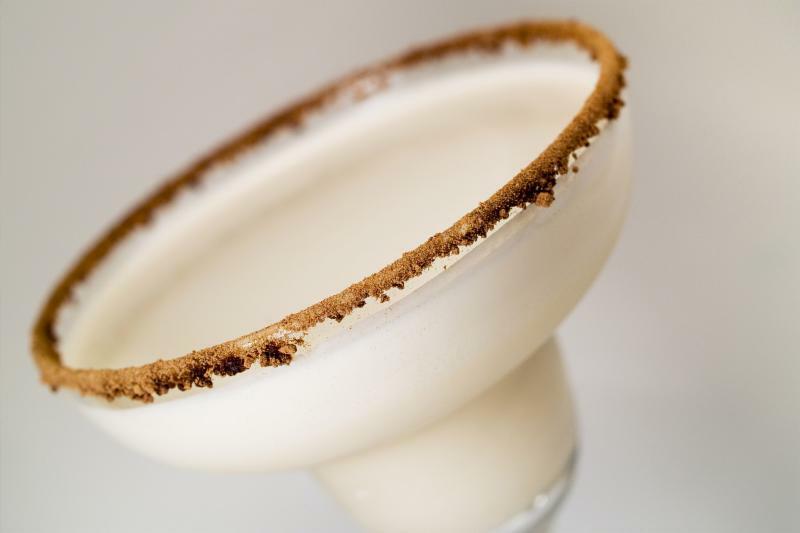 This after-dinner classic is based on the original Alexander cocktail, which is made with gin and white crème de cacao. Made with dark crÃ¨me de cacao, this is rich and creamy and delicious on its own or paired with chocolate desserts. Shake all ingredients with ice and strain into a chilled glass. Sprinkle with nutmeg.